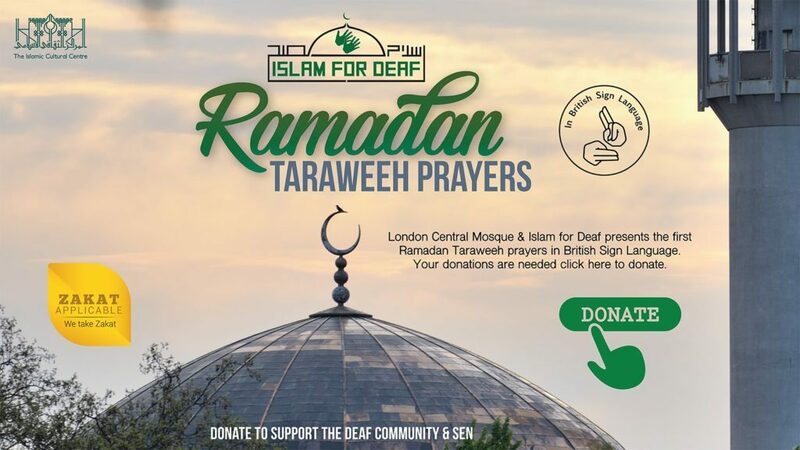 Donate to help Taraweeh for Deaf and Islamic Dawah in Sign Language. 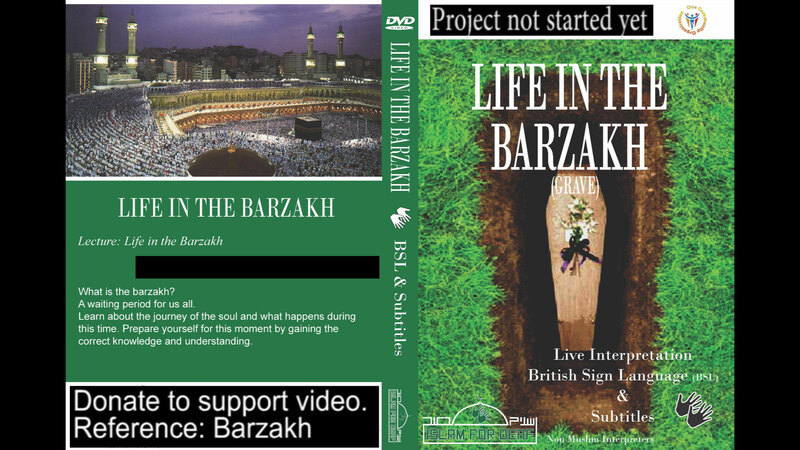 Please support Islam for Deaf kids, help produce children's cartoons and programs in BSL. Islamic Education is for everybody, the abled and the Disabled. The hearing & The Deaf. Islamic Education should be accessible for everybody, the abled and the disabled, the Blind, Deaf and those with Special needs. 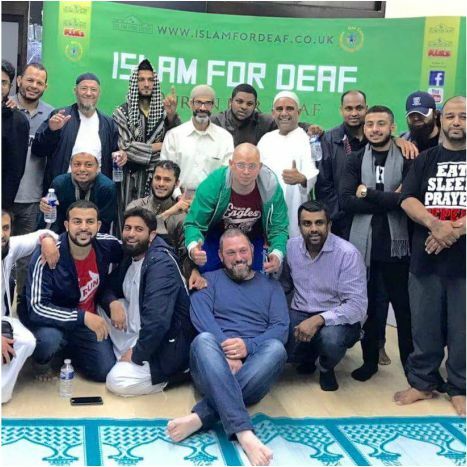 Islam For Deaf is one of the very few if not only Islamic organisation that provides consistant programs in British Sign Language (BSL) and has a global audience from the Muslim & Non Muslim Community. This is helped by your generous Donations. 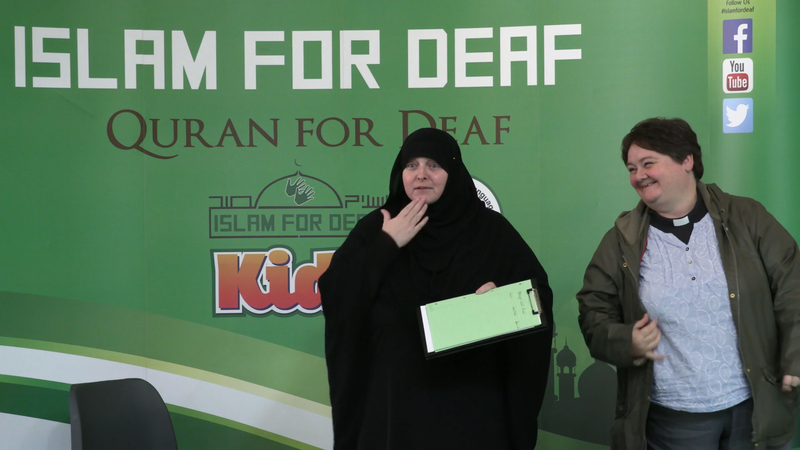 Islam for Deaf is compiling the Translation of the Qur’an into BSL (British Sign Language). Help the Deaf Community to also have a Translated version of the Qur’an with your Donations. 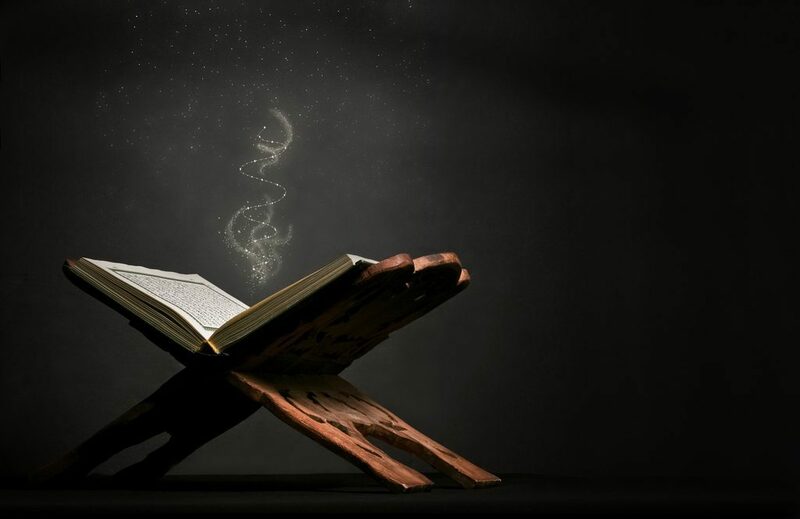 Visit the Qur’an page to see the Surah’s already completed and support this noble task. 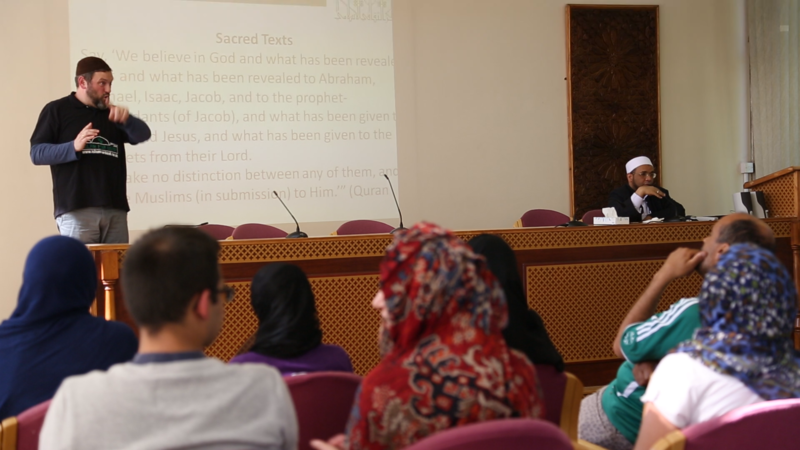 Taraweeh For Deaf is the only Taraweeh in the UK and beyond where the Deaf Community can pray during the blessed month and have the Qur’an interpreted every night during prayer. We only use qualified & registered interpreters to deliver the best services as it is the speech of Allah and we wish for it to be clear and understood by the Deaf Community. We seek the acceptance of Allah and his mercy and we ask the believers to Donate to this noble cause. Islam for Deaf provides programs for the non Muslims & Muslims, and is a Zakat applicable. Providing essential Islamic education programs for Deaf Children, domestic & marriage services and much more. We have successfully performed the first every Taraweeh for Deaf in during Ramadan 2017 which we will now continue every Ramadan insha Allah. We also aim to provide qualified and registered interpreters for the Friday sermons in at least one masjid in every city throughout the UK insha Allah. Your Zakat will go towards providing these essential programs for our community. Bismillahir Rahmanir Rahim. 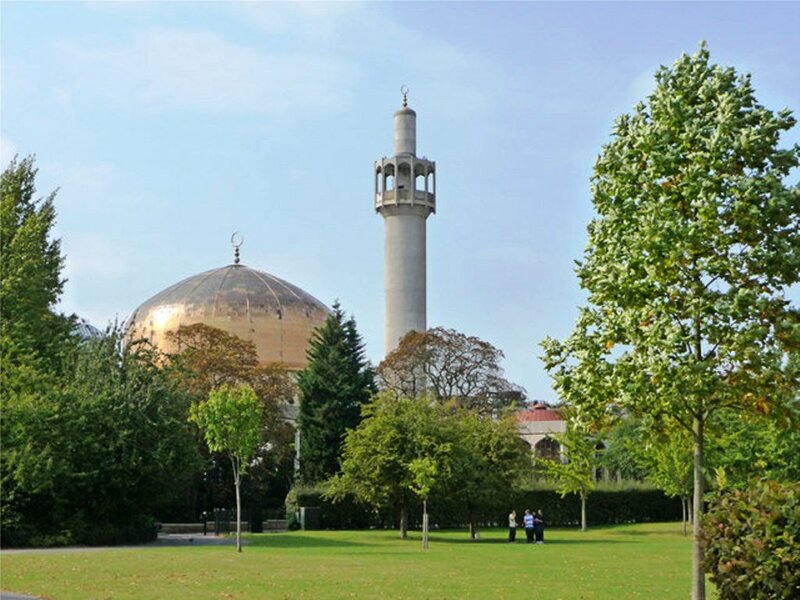 The aim of Islam for Deaf after seeking the pleasure of Allah is to provide Islamic Services and Education in a secure Islamic environment for the Global Deaf Communities from all Faiths and backgrounds. We provide help and support towards their Islamic Education, Health and Social Development, Enabling them to Learn, Develop and Thrive. Our educational programs help to empower and improve the lives of those with hearing impairments, providing essential support to help build their abilities and confidence that they need in order to independently succeed within mainstream society. 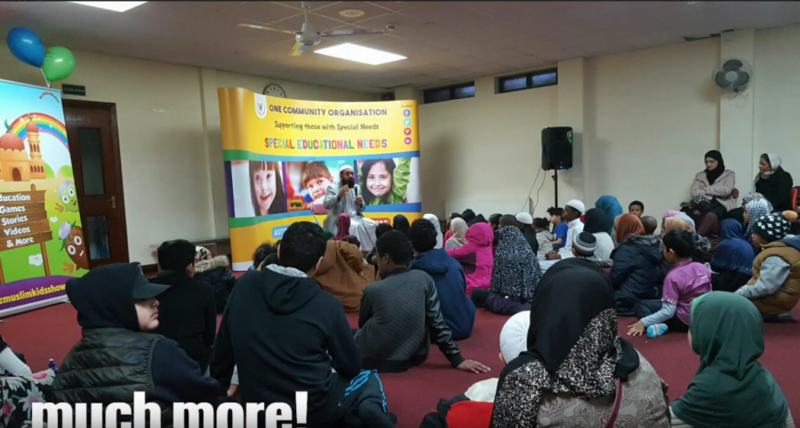 As there is barely any Islamic Education in BSL or Community Centres or Masjids within the UK which caters for the Islamic educational needs of the Deaf Community we urge you to support this Noble cause with your Donations and Prayers to help bridge this gap in the Muslim Community. This fact led us to establish the Islam for Deaf program in 2013 and by the Mercy of Allah have now successfully become a Deaf Centre. 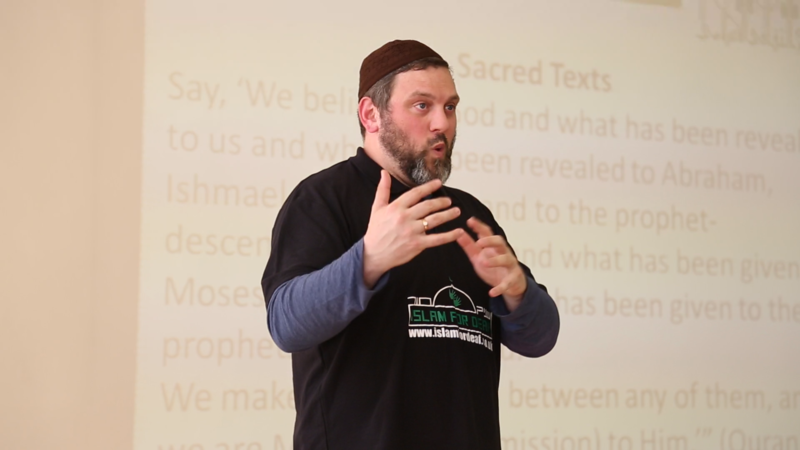 Islam for Deaf provides Islamic services and essential Islamic education ranging from the fundamental principles of Islam, to fun educational children programs and cartoons, all in British Sign Language for the global Deaf Community to benefit from. As a registered centre we are now a point of referral to other Deaf Organisations/Guardians and Deaf Non Muslims seeking Islamic assistance. We work together with different faith organisations supporting the Deaf Communities but from an Islamic view point. Islam for Deaf is the first and only Deaf Islamic walk in centre, providing Islamic Services for the Global Deaf Community. Watch the report from the BBC (British Broadcasting Corporation). To watch full Video Click Here…. Islam for Deaf performed for first Taraweeh for the Deaf Community During Ramadan 2017 which was held at London Central Mosque. With the permission of Allah and generous Donations the task was a success. By the permission and grace of Allah we plan to keep providing Taraweeh for the Deaf Community every year insha Allah, in different cities throughout the UK. 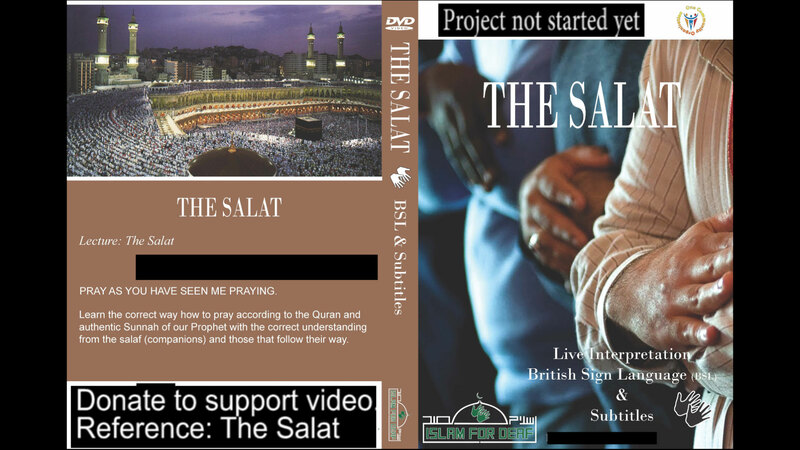 Your generous donations help Islam for Deaf provide Islamic materials and services for the Deaf Community, so please support and continue to donate as we are still in need of continuing the call to islam in BSL (British Sign Language). Alhamdulillah since starting this program many from our Deaf Community has benefitted Greatly from the service and some including an interpreter has even embraced the religion of Islam. So Donate and Support Islam For Deaf. Volunteers are an important part of our team at Islam For Deaf. 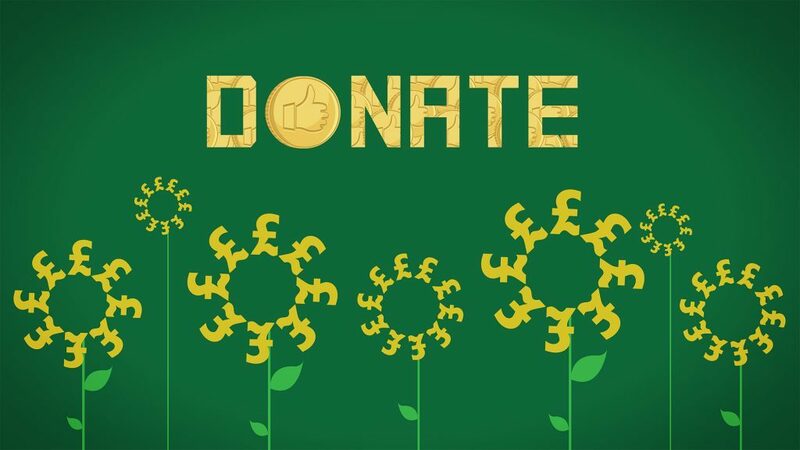 Sponsor a video (choose which video you will donate towards) Each video costs £430 to produce. Receive regular email updates from Islam for Deaf. We will send you our latest updates. and bow down your heads with those who bow down” (in worship). Islam For Deaf interviews with the Deaf Community.